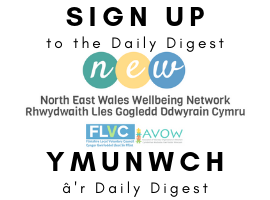 FLVC is a voluntary organisation that connects voluntary, community groups and activities in Flintshire. Please contact FLVC to express your interest via phone, email, Facebook or Twitter. 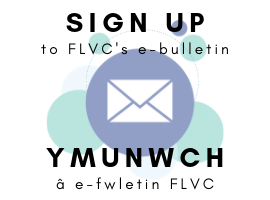 You can always come into the main reception desk and ask for an FLVC Registration Form or download the form: Volunteer registration form (English). Once you fill the registration form in please return it to FLVC together with your Equal Opportunities Form. We will then arrange an informal chat which will detail the placement and your potential suitability, you will also be able to ask questions in relation to the role to find out if the role meets your expectations. Once an offer of a placement is made your two references will be contacted. If a DBS Check is required for the role then that will be completed before the volunteer placement starts. 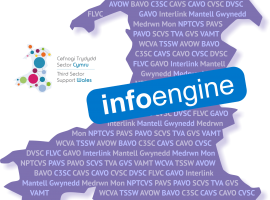 Full training will be given in all aspects of the role and you will be required to attend a 2 day induction programme which offers an OCN accreditation. This training covers the basics of health and safety, risk assessment, safeguarding, appropriate boundaries, support and supervision and equal opportunities. Ensure that any vehicle you use in connection with your volunteer placement is correctly insured for “Business Use” and you have a current MOT, if necessary.